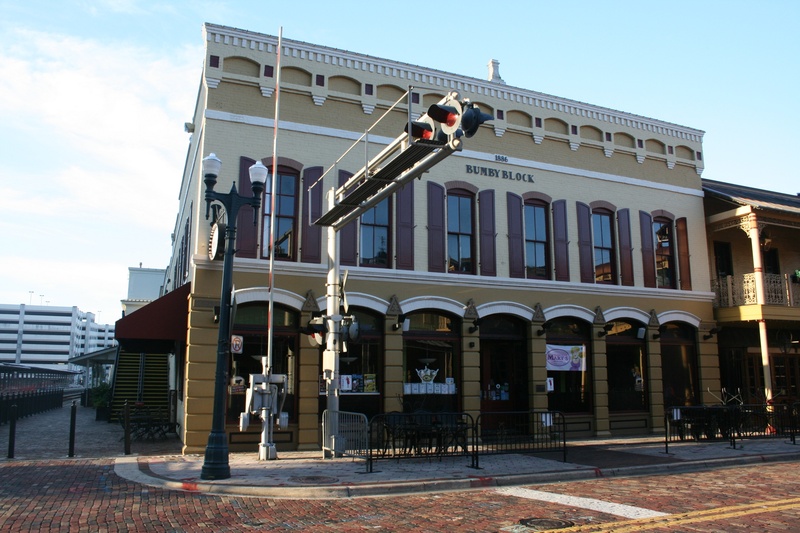 Many of the remaining historic buildings in Downtown Orlando have been repurposed into bars and restaurants. This is the first half of a list of 10 bars, restaurants, or lounges where you can enjoy a drink and connect to Orlando’s past. Call ahead for a password before visiting. The theme of this speakeasy is rooted in true-life Orlando history. Andrew Hansen moved to Orlando from Pittsburgh in 1890 and opened Hansen Shoe Repair Shop at 27 East Pine Street. This address is now one of the oldest brick buildings in Orlando and Hansen’s was the first business to have an electric sign. Today Hanson’s Shoe Repair (note Hanson is spelled with an ‘o’ now) serves up hand-crafted cocktails at the same address Andrew Hansen set up shop 124 years ago. Empire Hotel with electric elevators. Ember is at ground level on the west side of the building. Ember is located in what was one the Empire Hotel. 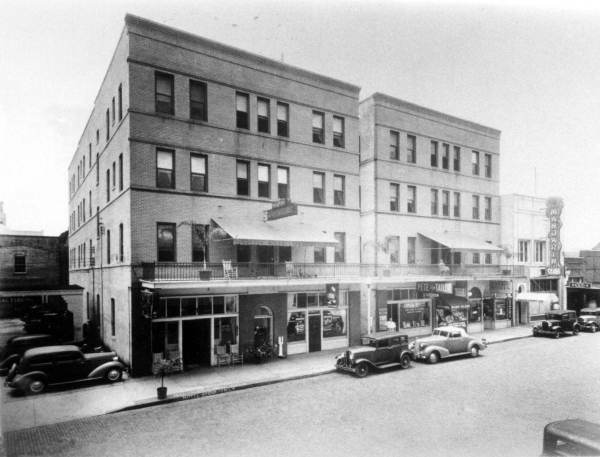 Built in 1913 by businessman, James MacGruder, it was advertised as, “Orlando’s Most Popular Medium Priced Hotel” and boasted an electric elevator. The amenities in its 100 rooms included baths with hot and cold water in each room. Around the 1930’s, the ground level space, now occupied by Ember, housed an auto parts store, Pete the Tailors shop, and a sandwich stand called Bob’s Place. Next door the Mandarin Club stood where Ember’s Mediterranean style open air patio is today. Joseph Bumby was one of Orlando’s pioneers having moved here from England in 1873. After arriving he farmed his 160 acres of orange groves east of downtown, carried mail by horseback from Sanford, and built a warehouse on Church Street. The warehouse sold fertilizer and hay and was the first place to buy train tickets before the railroad depot was built. Bumby Hardware was operated by the Bumby family for about 80 years. In 1886, Mr. Bumby completed his two-story brick hardware store across the street from his warehouse. The business was an institution in this town with its slogan, “If you can’t find it — go to Bumby’s”. The Bumby family ran the store at this location until it closed in 1966. Mr. Bumby’s store today is home of Hamburger Mary’s. Today you can enjoy a cabaret show or play drag queen bingo in the same storefront where 120 years ago one would have purchased supplies to mend a fence. The burger and sport bar chain, Harry Buffalo, opened their Orlando location in a spot one could argue has had a couple of previous lives. In 1924, businessman William Slemon moved his dry goods store into this new brick building. Here he sold overalls, mens pants, towels, and table linens. A hotel operated on the upper floors. After Slemon’s closed, Goodwill’s first Central Florida location operated here in the 1960’s. Rosie O’Grady’s Good Time Emporium started the 70’s and 80’s success of Church Street Station. It gained new life in 1974 when Bob Snow opened Rosie O’Grady’s Goodtime Emporium. 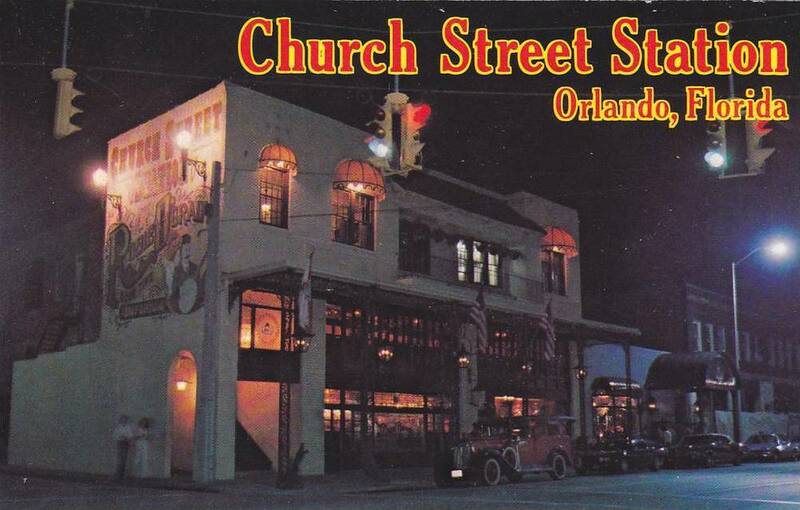 It was the cornerstone for Church Street Station, an entertainment complex that became one of Florida’s top tourist attraction through the 70’s and 80’s. Check back for part two of the 10 Historic Places in Orlando to Get a Drink list.